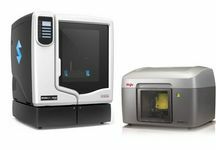 From 3D printers to 3D production systems, Stratasys & Objet machines let you quickly build working models or end-use thermoplastic parts from your desktop or factory floor. 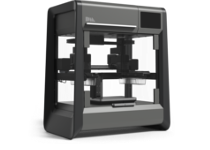 Save money and get products to market faster with accurate, do-it-yourself 3D printing. 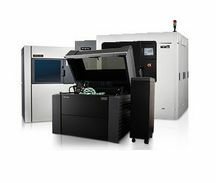 Making the leap to world-class 3D printing at such a low cost is a revolution. If you've ever taken a 3D prototype for a test spin before production, you already know its impact. 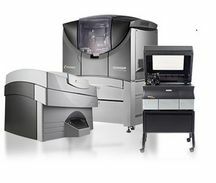 The Stratasys Production Series is built to streamline manufacturing while maximising your possibilities - handling the largest prototypes and accurate low-volume parts with ease. 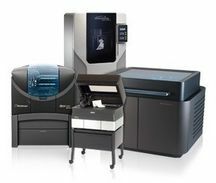 By combining oral scanning, CAD/CAM design & 3D printing, dental labs can accurately produce crowns, bridges, stone models & a range of orthodontic appliances rapidly. Wax-ups can be produced quickly and at low cost. 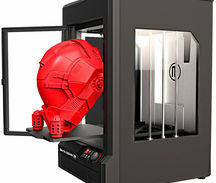 3D Printers offering small to large build sizes in PLA or ABS materials aimed at the education and hobbyist markets. Desktop Metal is reinventing the way engineering and manufacturing teams produce metal parts - from prototyping through to mass production.